Our son eats a lot for lunch and it is hard to find mashed food in 170g, this one is perfect ! A great baby food for taking and serving to your baby when your out for the day. It’s easy to warm a little if needed and my both my children would eat this if needed. Different flavour combination compared to other brands. 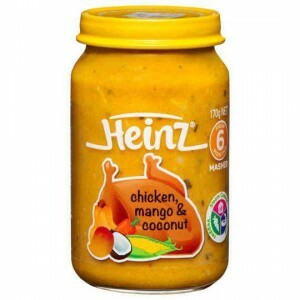 How would you rate Heinz Chicken Sweetcorn & Mango 6 Months+?